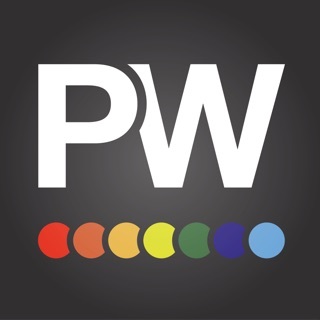 Extraordinary Vision Magazine is a stunning, multi-media outdoor photography magazine whose primary focus is to elevate the emotional power of your natural light photography - regardless of what camera you own, what photo-editing software you use or what subject you shoot. Filled with breath-taking images, articles and video tutorials from the world's most celebrated nature, landscape, travel, astro, wildlife, adventure, action, sports, street and urban photographers, EV Mag will ignite your creative vision and refine your artistic voice. Published exclusively for mobile, EV Mag is a sheer pleasure to read in either Feature Rich mode (perfect for the iPad and iPad Pro) or Easy-Read mode (ideal for the iPhone and iPod). 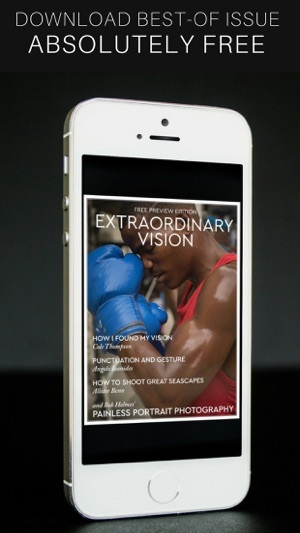 Extraordinary Vision Magazine is a phenomenally inspirational magazine available for FREE download exclusively on mobile. Your subscription automatically renews unless auto-renew is turned off at least 24 hours before the end of the current period. Your iTunes account will automatically be charged at the same price for renewal 24-hours prior to the end of the current period (another year for annual subscribers) unless you change your subscription preferences in your account settings. You can manage your subscriptions through your Account settings after purchase. No cancellation of the current subscription is allowed during active subscription period. Please go to http://extraordinary-vision.com/terms for more information. When it comes to a landscape photography magazine I'm not especially interested in gear reviews or Lightroom how-tos. I'm looking for inspiration and ways I can connect more with the world around me. 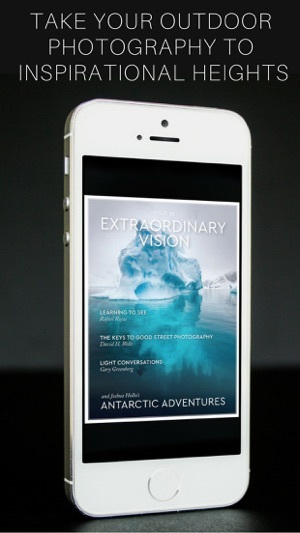 Extraordinary Vision is that magazine. Great photographers from around the world share their insights on how they make more than stunning photographs. They talk about how they make art. If art is what you strive for there's nothing better than Extraordinary Version. I have read EVMag since it's inception. 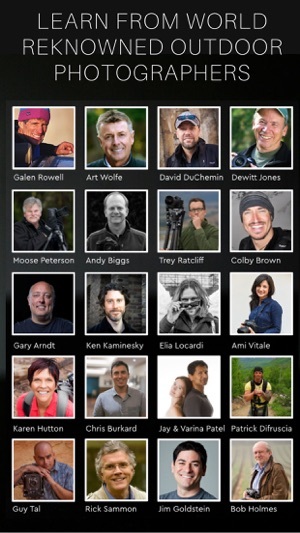 When I started on my photographic journey I was looking for insightful instruction. This magazine had been so helpful in gaining the ability to see through the camera artistically. I don't want to record what I see. I want to communicate what I see. EVMag is a great resource and I'm sure if you read it you will love it too. I don't have enough superlatives to rate this magazine sufficiently. The tutorials are wonderful. The contributing photographers are the best, and the photographs themselves are awesome. This magazine is better than all my paid subscription magazines ( for which I have many)! Thank you very, very much, and keep up the excellent work.